I've been debating on which direction to go with regards to my perimeter firewall on my home network. In talking to systems_glitch in IRC he suggested that I give OpenBSD a go (he probably regrets this as I've been bugging this crap out of him about it). 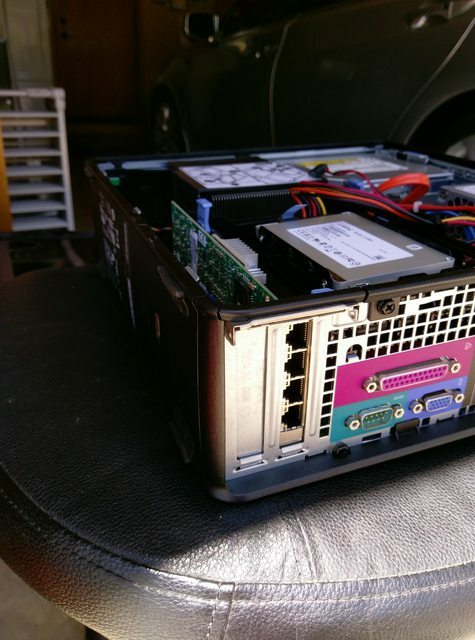 I was a little gun shy about it at first since it would be my first experience with pf, and even OpenBSD itself, but the *NIX nerd in me decided to dive in head first. Although it's only been a couple of days, I am very happy with the setup! 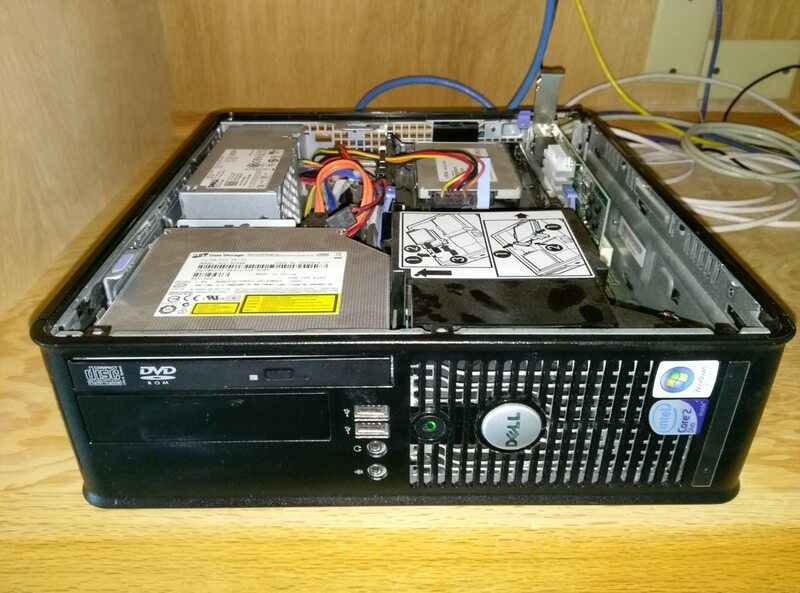 I used an old Dell OptiPlex 755 inherited from the ewaste pile at $dayjob. 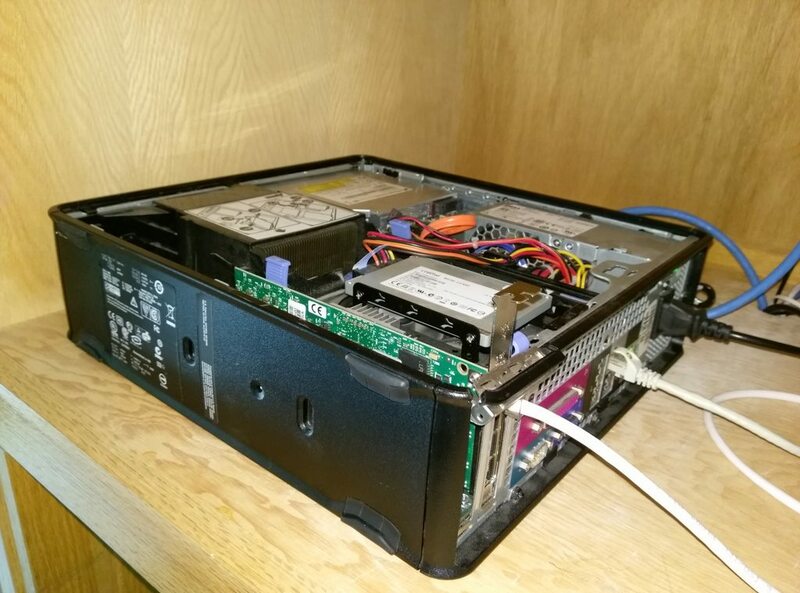 It's got an Intel Core2 Duo E650 2.33 GHz CPU, 8 GB RAM, a 128 GB SSD, gigabit NIC onboard. 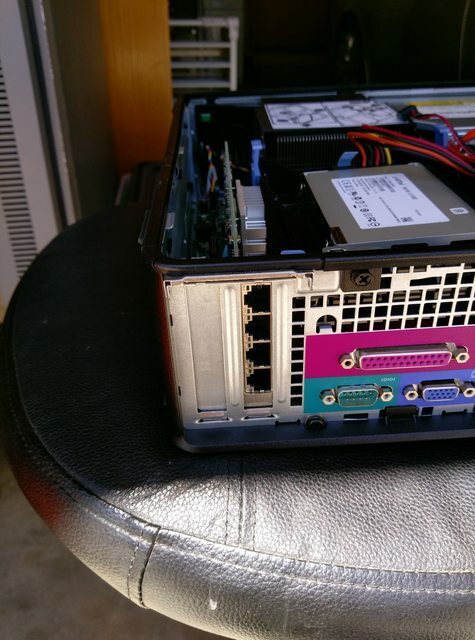 I happened to have an Intel PRO/1000 quad PCIe NIC in my stash which other than needing a half-height bracket (ordered and en-route from good ol' China) works beautifully. Until the bracket arrives I'll just run it with the cover off. The machine could use a nice does of compressed air, too. Performance wise I am very impressed. 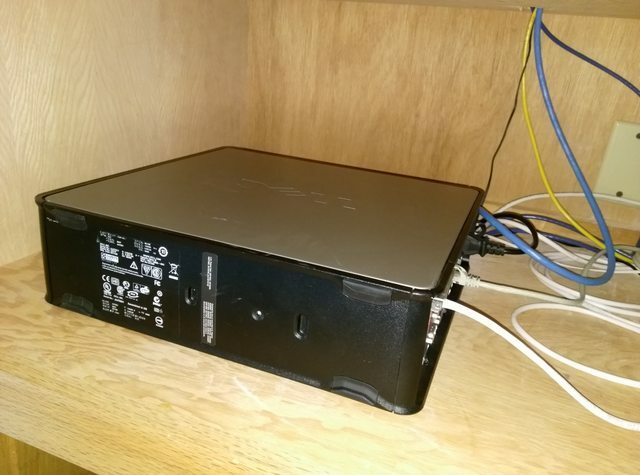 I was leary of a box like this being able to handle gigabit throughput between firewall zones, but this box handles it like a champ. CPU usage when doing scp between two hosts on separate zones is maybe 30% peak. I have enabled some additional logging since this testing so I suspect CPU usage will be higher...I plan to test this soon. Right now I'm using the onboard NIC as the "WAN" interface and a single interface on the PRO/1000 card for an inside zone. Eventually I'm going to put all 4 of the PRO/1000 interfaces in a LACP bond and set up multiple zones using VLANs, but that is dependent on another network project of mine that is still in progress. Before this I was using a Ubiquiti EdgeRouter PoE. I can tell you hands down I prefer pf & OpenBSD wayyyy more over EdgeOS/VyOS. Excellent to have another "convert"
Where $pbx is an alias for the internal IPv4 address of his PBX. So far so good! I have yet to have media suddenly disappear on me in the middle of a call. The half height bracket I ordered for the NIC arrived earlier this week. Had a few minutes to install it today. Also took the opportunity to give the thing a nice dose of compressed air. She's now complete...for now at any rate. :-D The only other addition I am going to make is adding a second (I guess third counting onboard) NIC when I subscribe to a second ISP. I eventually want to compare the local cable provider to the current VDSL service I have to see if it's worth switching. Actually, I need to set up a serial console. Then she'll be complete. vt220 is the terminal emulation type (there are others if you which to experiment), on obviously enables console output to the tty interface, and secure allows root login from the tty. Connect your favorite null modem cable to the serial interface, set your terminal application (or actual hardware terminal) to 9600 baud, 8N1, flow control none/off, reboot the box, and you should have serial console awesomeness. I love that doing low-level tasks is just as simple as it's always been -- apparently getting a serial console set up with systemd is a real chore. I haven't tried it, but Sark has and apparently can *not* get the configuration to be persistent!